My lips have not liked these cold months, they are dry at the best of times so you can only imagine what they have been like recently. 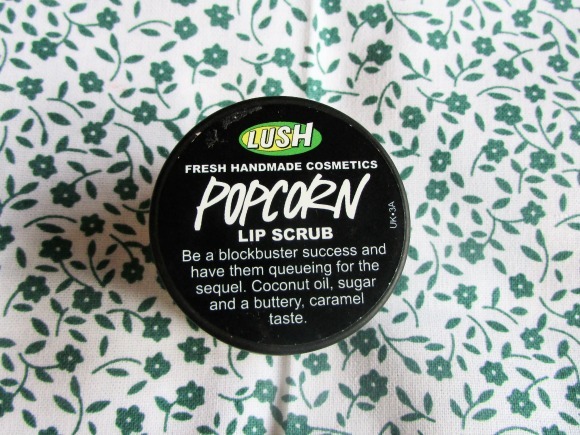 After speaking to a few people, the Lush lip scrubs were recommended so I decided to give it a try. In store, there wasn't a huge selection of flavours (?!) to try and Popcorn was the only scent I really liked. The scrub comes in a small pot however only a little of the product is needed so its sure to last you a while! 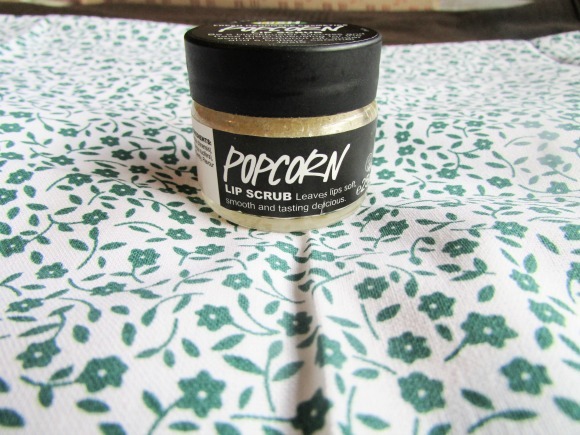 The scrub contains coconut oil and sugar, and leaves a lovely buttery taste on the lips. 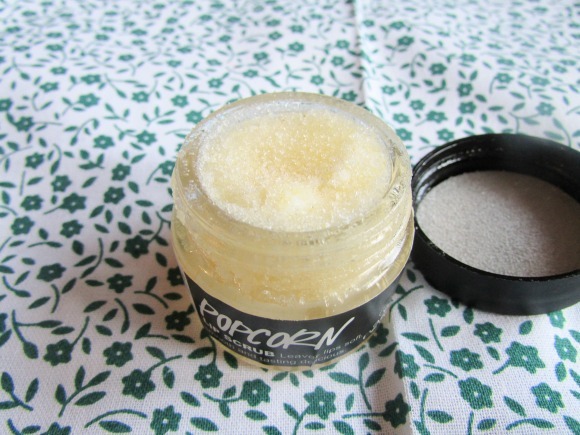 To use the lip scrub properly, you put a little on your finger and then gently rub in circular motions into the lips. 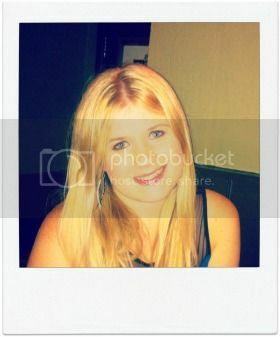 Then lick the remainder of the scrub off, gosh that could have sounded a bit dodge. Anyway, the scrub is supposed to remove any dry skin from the lips,leaving them soft and smooth. Although the scrub does remove a lot of the dry skin, it doesn't seem to get to the larger areas, which is my biggest problem as lip products tend to cling to these areas. I do like this product; it smells and tastes a-mazing, and it does remove most of the dryness from my lips with just a small amount of the product used. I think if you're suffering with chapped lips this winter, then I would recommend this however don't expect to get baby soft lips after the first use. Has anyone else tried any of these scrubs?